Michael ODonnell has 47-year experience within several aspects of the Real Estate profession. With on hands expertise in Sales, market analysis, management, development renovation and new construction. Over the years, Michael has constructed and or developed 500 single family homes, 1000 multifamily apartment and condominiums and has converted 360 apartments to condominiums. Michaels’ expertise is in market analysis provides well informed data for the sale, exchange or leasing of property, construction cost forecasting, and sales price forecasting for new construction. 1973-1978: Associated with Grove Way Realty general real estate sales. 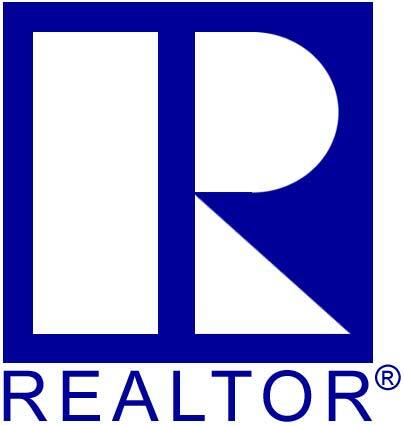 Late 1974 joined with as partner Grove Way Realty owner partner Rex Hays . Rex had successfully operated a small real estate firm for 16 years. We purchased the 12th Century 21 franchise and within 2 years had three offices with 125 sales associates and was the highest gross office within the Century 21 organization Closing an average of 80 transactions a month. 1978-1986 Joint in partner Gennoy Real Estate and forming Gennoy and ODonnell Building and Development. Our sales activities focused on development of commercial, multi-family single family sites. Awarded exchange of the year CBA for 4 way exchange of Aptos apartments, Aptos, Mills Court Office building , Burlingame, State Insurance Building , Los Angeles and the Unite insurance office building in Miami. 1986-1988: Associated with Loretta Parker Century 21 Real estate, Castro Valley. Loretta had a small 6 associate office and wish to expand. In 6 months we expanded the existing office to 25 associates acquired another office of 15 associates. In 1997 remained in the top ten California offices in gross production. 1988- Desired to escape from high time demand of office management and development to spend time with family. 1988-1990 Associated with Blackhawk Development in Danville. General sales of high end housing. Handling the sale of 40+ high end estate homes. Personally, developed and built 6,500 sq. ft custom home for resale. 1990-1991 Desired to slow business activity. Associated with Marcus and Millichap, San Mateo. Worked with RTC under the Saving and Loans collapse to seize unfinished buildings primarily apartments from 100 to 350 units, and strip centers over 100,000 sq. Ft. The assignment required the seizer of the property analyzation of the current completed phase of construction, estimated cost to complete construction and market analysis for the complete project. Projects were in California, Arizona, Colorado and Texas. 1991- 1999. Had a strong desire not to travel and have less of a business demand. Developed and created Real Estate Reports. The company preformed property inspection, Home inspections, environmental inspection for hazardous and toxic materials, biohazard material sampling, phase 1 inspection underground storage materials, infrastructure analysis for new construction. Stated business in San Francisco bay area , Alameda County, Santa Clara County, Contra Costa County and San Mateo County had a staff of 5 inspections and 4 office staff. In 1999 Real Estate Reports was the largest inspection company in our market area conducting over 20% of inspections preformed. Business became demanding -Sold the business. 2000- to date. Relocated to PalmSprings area. Re-created Real Estate Reports business at a smaller scale. Now Real Estate Reports has successfully completed over 18,000 property inspection. Real Estate activity has been at a per project basis. 2004 Managed and sales associates conducted marketing and cost analysis for 9 new housing developments (900 homes) Coachella Valley. General real Estate. ODonnell Real Estate Maintains and Office is Orange County and the Palm Springs area and is managed by the ODonnell family.